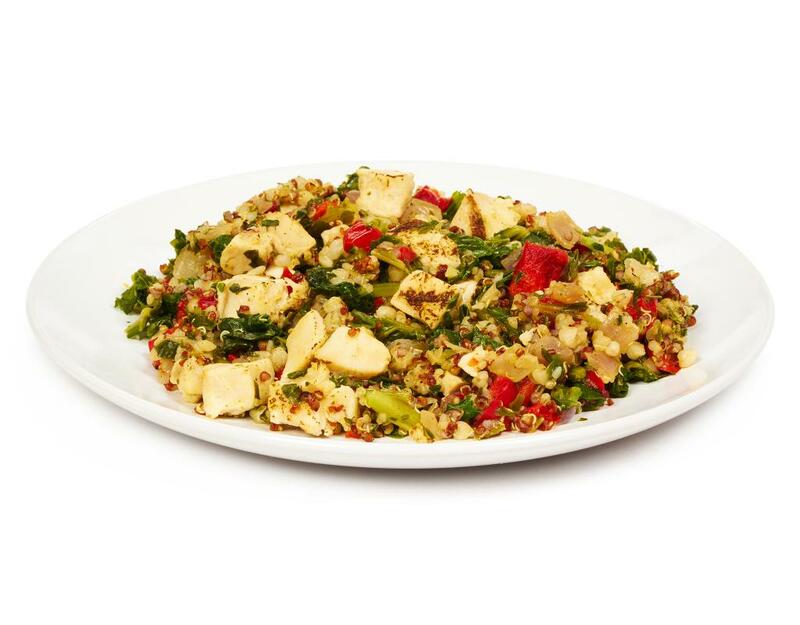 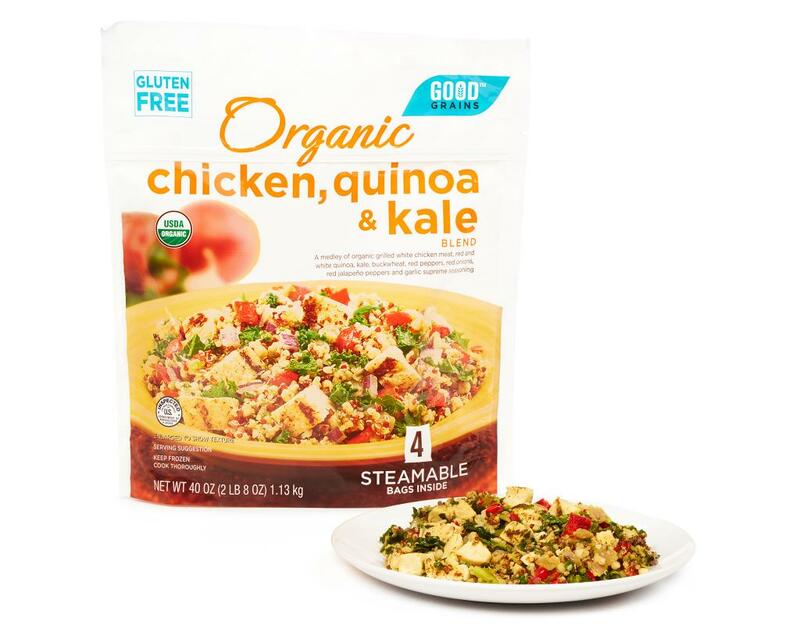 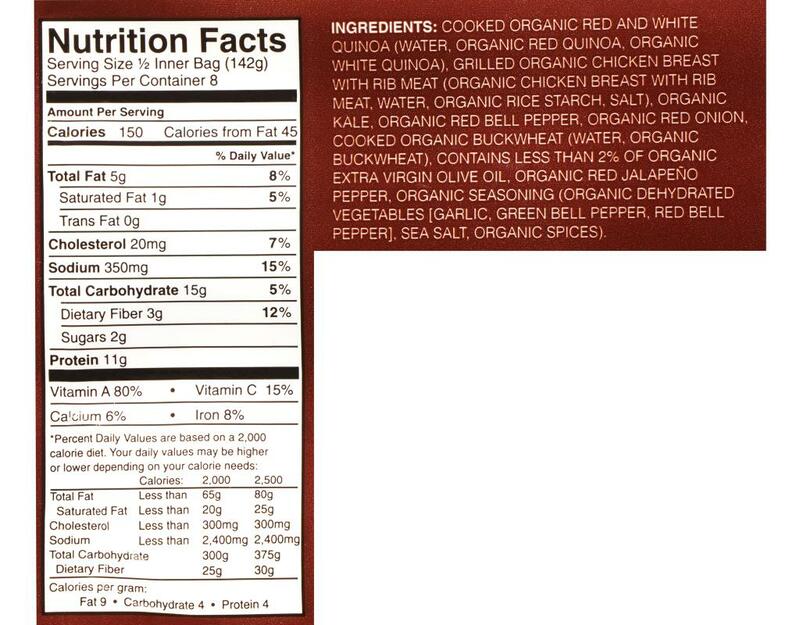 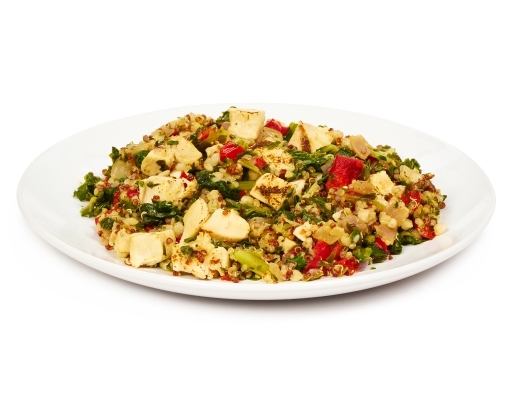 All organic and gluten free, this meal is packed with grilled chicken, quinoa and kale, plus a medley of red onions, red peppers, and garlic seasoning with a hint of jalapeños for a little extra kick. 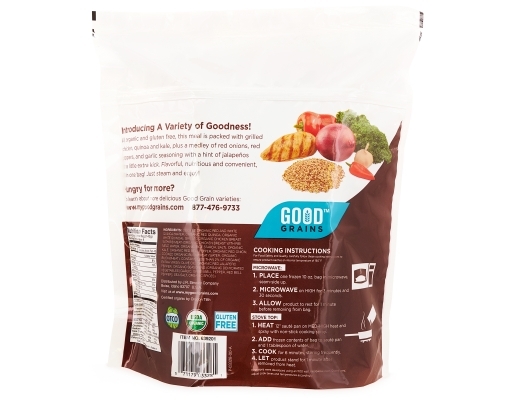 Flavorful, nutritious and convenient, all in one bag! 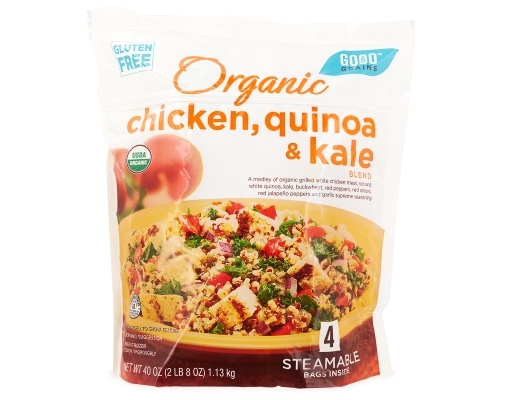 Just steam and enjoy! Cooked Organic Red And White Quinoa (Water, Organic Red Quinoa, Organic White Quinoa), Grilled Organic Chicken Breast With Rib Meat (Organic Chicken Breast With Rib Mean, Water, Organic Rice Starch, Salt), Organic Kale, Organic Red Bell Pepper, Organic Red Onion, Cooked Organic Buckwheat (Water, Organic Buckwheat), Contains less than 2% of organic extra virgin olive oil, Organic Red Jalapeño Pepper, Organic Seasoning (Organic Dehydrated Vegetables [Garlic, Green Bell Pepper, Red Bell Pepper], Sea Salt, Organic Spices.